Enjoy a free pattern on me! Buy 2 patterns get 1 free. 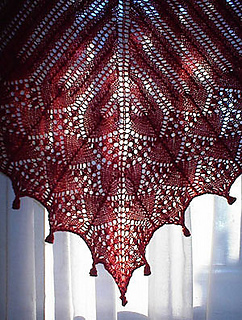 Add 3 patterns to your Ravelry cart, and the least expensive will be free. 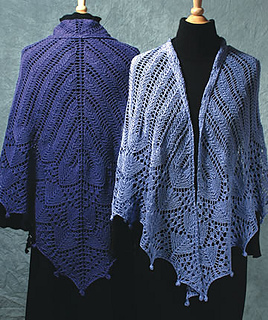 The Lotus Blossom Shawl uses two traditional Shetland lace patterns, Razor Shell and Madeira Wave, which together create the suggestion of graceful lotus blossoms on long stems. 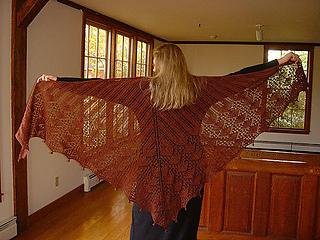 The shawl is worked in stocking stitch by casting on three stitches at the middle top and then increasing down the centre and sides to create a triangular shape. At the bottom edge, bobbles are worked as the stitches are bound off. 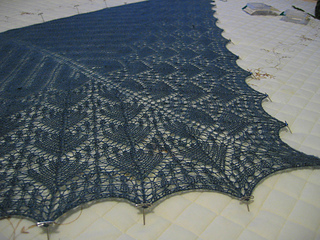 Recommended for Advanced Beginner or Intermediate lace knitters.